This website is owned and operated by Hyper Network Solutions of Florida LLC (“HNS”), West Palm Beach, FL, USA. 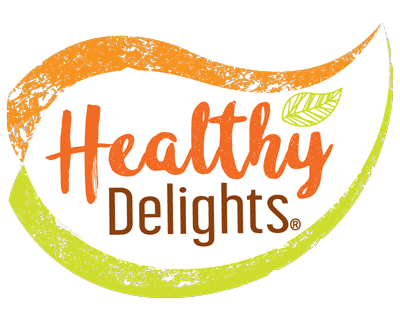 HNS respects the privacy of visitors to healthydelights.com. HNS will only collect your personally identifiable information, such as your name, address, telephone number, or e-mail address, when you provide it to us at this website. HNS and/or the companies we hire will use this information to comply with your request for information or as otherwise disclosed to you on the web page when you submit your information to us. From time to time, we may refer to this information to better understand your needs and how we can improve our products and services. We may use this information to contact you. We will not sell or otherwise transfer the personally identifiable information you provide to us at this website to any third parties for their own use unless we tell you when you submit your information to us that we intend to do so. Please do not provide financial information. Some HNS sites set cookies that keep you from having to enter a password more than once during visits to one or more of our sites. Cookies also allow HNS to determine whether you came to a HNS site from another HNS site or from an advertising banner or link on a non-HNS website, so that we can, for example, measure the effectiveness of the links among our sites and the effectiveness of our advertising on non-HNS websites similarly, cookies allow us to determine whether you register on or visit any of our websites, which enables us to analyze how particular users use our sites and whether registered and unregistered users of our websites use our sites differently. Cookies also allow us to maintain information about how particular visitors use our family of sites, which enables us to better provide such visitors with information relevant to their interests. This may include using information about your use of our sites in conjunction with personally identifiable information that you have volunteered to us on one of our sites. In addition to cookies, HNS may collect non-personally identifiable information about how you use our websites using other analysis technologies. These analysis technologies may be provided by third parties. Some HNS websites use a third party ad-serving service to display advertising on other, non-HNS websites. In addition to placing advertisements on certain non-HNS web pages, these services and/or HNS may also place a segment of code called a clear pixel tag, also known as a “GIF”, on certain HNS web pages that do not contain advertisements for the purpose of measuring the effectiveness of advertisements in bringing visitors to our web sites. GIFs may also be used with cookies to track the total number of visitors to our website, the number of visitors to various web pages, and the domain names of our visitors’ Internet service providers. No personally identifiable information is collected in this process. As is common among Internet site operators, HNS websites maintain web server logs. Web servers automatically identify your computer by its IP address and collect that information in its web server logs. An IP address is a number that is automatically assigned to your computer by your Internet service provider (e.g., AOL, MSN, Yahoo) whenever you log onto the World Wide Web or “surf” the web. HNS web server logs collect statistical data that is generated by your computer when it visits a HNS website, such as the type of web browser (e.g., Netscape, Internet Explorer) and operating system (Windows 95 or Mac OS) used to access the site, the domain name of your Internet service provider, the date and time you access our site, and the pages you visit. HNS websites use this non-personally identifying web server log information for a variety of purposes. Some of these purposes include: system administration; to examine overall traffic trends on our sites; trouble-shooting; and to gather broad demographic information about users of our sites. No personally identifiable information is contained in these web server logs. From time to time, HNS may decide to modify its practices and policies, and we reserve the right to revise this HNS Internet Privacy Statement as necessary to disclose such changes in our practices and policies. Any such changes to this HNS Internet Privacy Statement will be promptly communicated on this page. Any information that you submit before the change in policy will be used by HNS and/or the companies we hire in a manner that is consistent with the HNS Internet Privacy Statement in effect at the time you submitted your information. Continued use of our sites after receiving notice of a change in our privacy statement shall indicate your consent to the use of newly-submitted information in accordance with the changed, amended, or updated HNS Internet Privacy Statement.